The 2006 harvest has proven itself to be the most successful Syrah vintage we have yet experienced in our cool coastal setting. A steady drawn-out final ripening phase in early/mid-October saw flavors, tannins, fruit extract and ripeness simultaneously mature to create the perfect raw natural material that we hoped for throughout the entire season. Our superb line-up of world-class vineyard sources each brings something unique to the blending pot. Hoppe-Kelly's extravagant fruit richness is tempered by Dry Stack's peppery spiciness; Trenton's muscular mountain tannins are buffered by Gregori's exotic blue fruits. The fusion of all these outstanding individual elements creates the aromatic intrigue, layered complexity and subtle natural harmony that single vineyard sources can often struggle to obtain and which for us is the essence of our RRV bottling. Opaque purple color. Hugely aromatic nose combines wild, dark aromas of blackberry, smoked meat and tar with a peppery tapenade edge. The palate is profoundly concentrated and lush with waves of ripe dark fruit balanced by lively spices and smoky graphite notes. The wine's broad dense texture balances the powerful mouth-filling tannins and allows an energetic peppery licorice finish to gradually unfold. 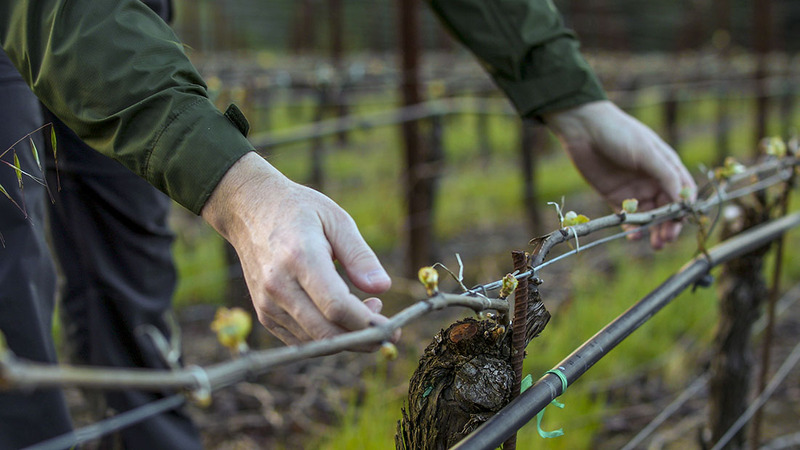 The wine's upfront richness will ensure it drinks well in the year after release, but patience will be rewarded with six to eight years cellaring, as the inherent soil character lurking beneath the surface begins to assert itself. Serve between 60 and 62 degrees to ensure full flavor development.